LOVE 4 Tennis Academy Uladzimir Ignatik (25) wins his first ITF title of the new season. Coached by Jan Stancik and Erik Csarnakovics, Ignatik made it all the way to the top in Oberentfelden in Switzerland. Ignatik wins together with the title 27 ATP points into the ranking, but remains No. 243. “I have to say, it was a very difficult tournament. But all the hard work during training pays off, when results come. I need to continue in all the hard work and concentrate on the next events ahead of me,” said Ignatik after his triumph. Ignatik beat German Jan Choinski in the final, fourth time overall in his career. This season these two met for second time, Ignatik having the upper hand once again. “I know him as a player, he played well whole week. It was not easy against him in the final. I am happy I won the title,” added Ignatik. 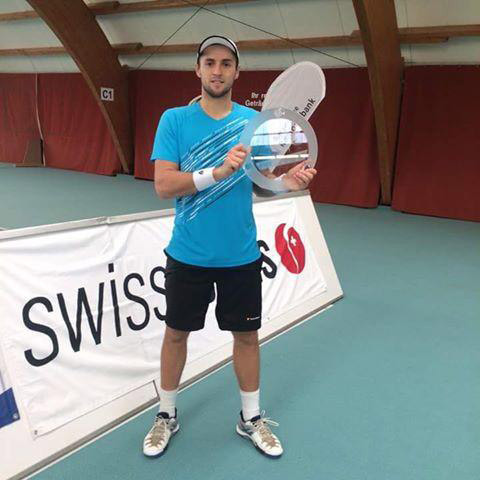 For Ignatik, title in Switzerland marks his overall fifteenth Futures title in his career. Belarussian, living in Bratislava and training in LOVE 4 TENNIS Academy now joins another 25K tournament in another Swiss town Trimbach.